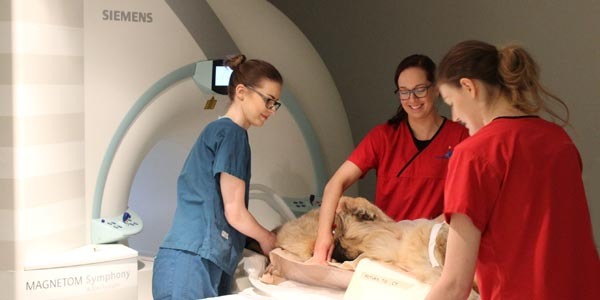 Through the dedication and skill of our orthopaedic specialists and extended patient care team, we are able to treat a wide range of small animal clinical conditions every day. 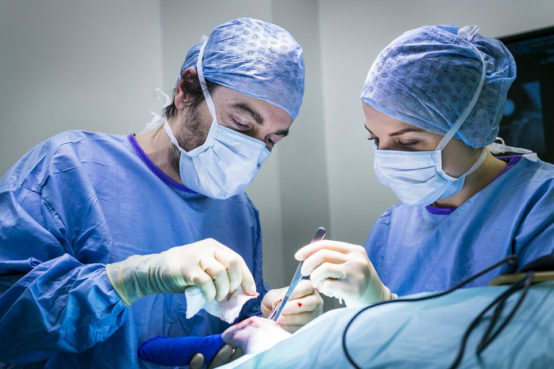 This includes routine procedures for developmental elbow disease, cruciate ligament disease, patellar luxation and fracture management, ranging through to the more unique and complex surgeries such as limb salvage procedures and limb deformity correction. 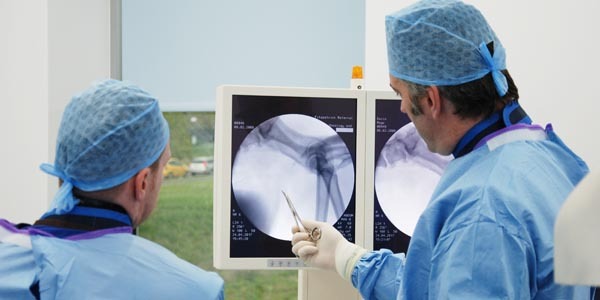 More than ¾ of all orthopaedic procedures at the practice are routine or conventional surgeries for everyday conditions. Our most frequently performed surgical procedure is Tibial Plateau Levelling Osteotomy (TPLO) for management of cranial cruciate ligament disease, followed by elbow arthroscopy most commonly for management of conditions such as medial coronoid disease, medial compartment disease and osteochondrosis. 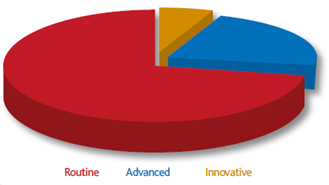 We take pride in ensuring that TPLOs are performed to the highest possible standard. 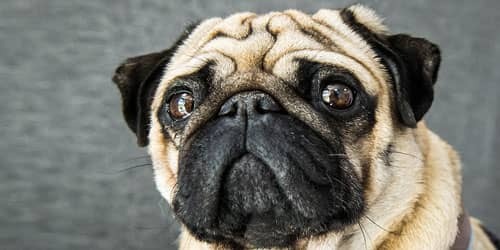 There is now strong evidence that TPLO provides the most predictable positive outcomes for dogs with cranial cruciate ligament disease by comparison with a variety of alternative surgeries including Tibial Tuberosity Advancement (TTA) (ref: 1,2,3) and this is the reason we tend to recommend it as our mainstay for treatment of this common but debilitating condition. We will perform TTA in specific indications for cranial cruciate ligament rupture, often where there is a propensity for concomitant patellar luxation. Post-op radiographs following TPLO surgery. 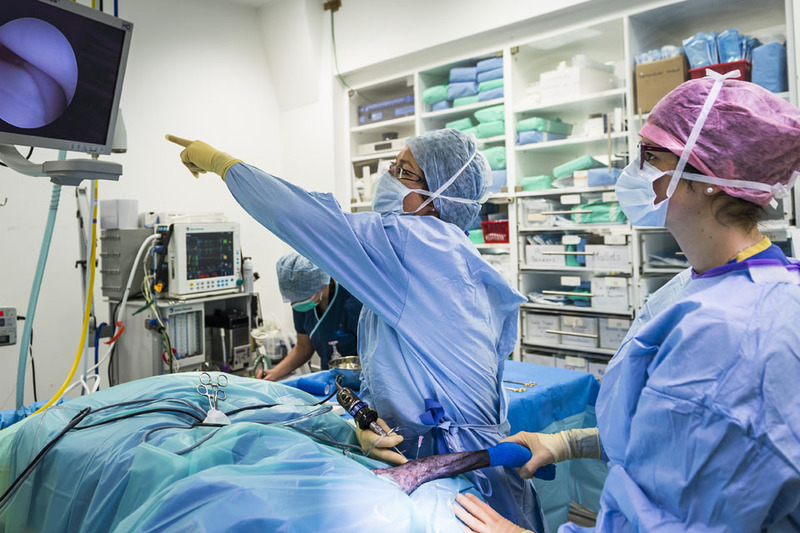 We anticipate that more than 90% of patients undergoing TPLO surgery for treatment of ‘uncomplicated’ cranial cruciate ligament disease will have a very good or excellent outcome, with the vast majority returning to full activity levels with no ongoing visible lameness. Our complication rate is low, and we have openly documented this in a published retrospective review of our cases (ref: 4). We typically use the most up-to-date locking implants and have documented a benefit to this sort of fixation in our larger patients in particular (ref: 5). 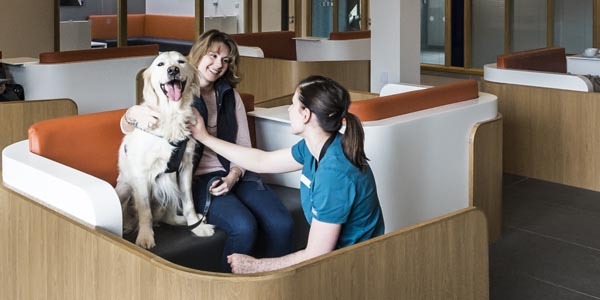 Although at Fitzpatrick Referrals we have a reputation for ground-breaking and innovative procedures, such as custom implant placement, these only make up a small percentage of the case mix. 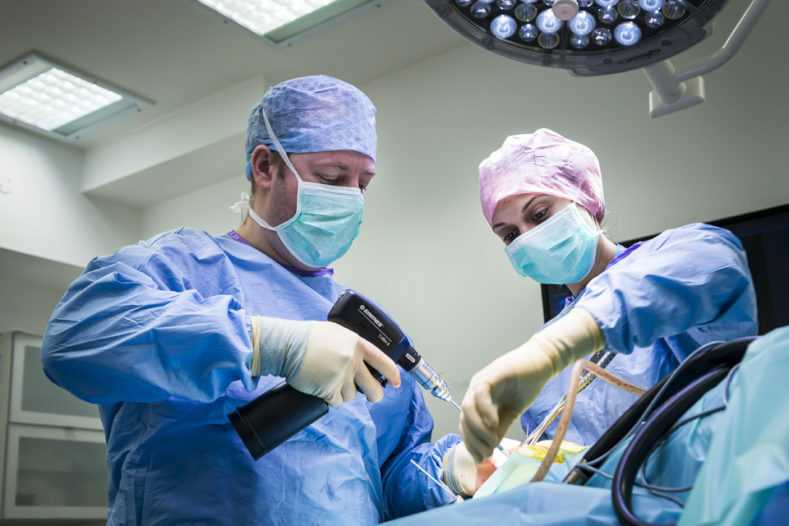 We do far more advanced orthopaedic procedures, such as total hip replacement, than we do of these innovative procedures, and take pride in being able to offer a full range of surgical options for our patients. 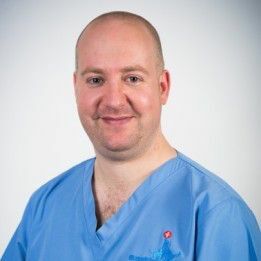 We always do our very best for every patient and we pride ourselves on everything that we do, whether it is in science for the benefit of our patients or performing a TPLO. We believe that it is not just the extraordinary innovations that matter, but also that we do the ordinary extraordinarily well. Krotscheck U, Nelson SA, Todhunter RJ et al: Long Term Functional Outcome of Tibial Tuberosity Advancement vs. Tibial Plateau Leveling Osteotomy and Extracapsular Repair in a Heterogeneous Population of Dogs. Vet Surg. 2016 Feb; 45(2):261-8. Christopher SA, Beetem J, Cook JL. : Comparison of long-term outcomes associated with three surgical techniques for treatment of cranial cruciate ligament disease in dogs. Vet Surg. 2013 Apr;42(3):329-34. Gordon-Evans WJ, Griffon DJ, Bubb C et al: Comparison of lateral fabellar suture and tibial plateau levelling osteotomy techniques for treatment of dogs with cranial cruciate ligament disease. J Am Vet Med Assoc. 2013 Sep 1;243(5):675-80. Fitzpatrick N, Solano MA. Predictive variables for complications after TPLO with stifle inspection by arthrotomy in 1000 consecutive dogs. Vet Surg. 2010 Jun;39(4):460-74. 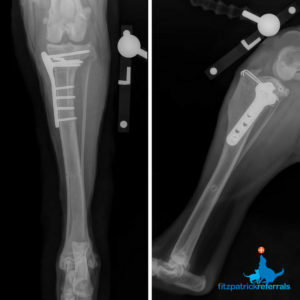 Solano MA, Danielski A, Kovach K, et al: Locking plate and screw fixation after tibial plateau levelling osteotomy reduces postoperative infection rate in dogs over 50 kg. Vet Surg. 2015 Jan;44(1):59-64.